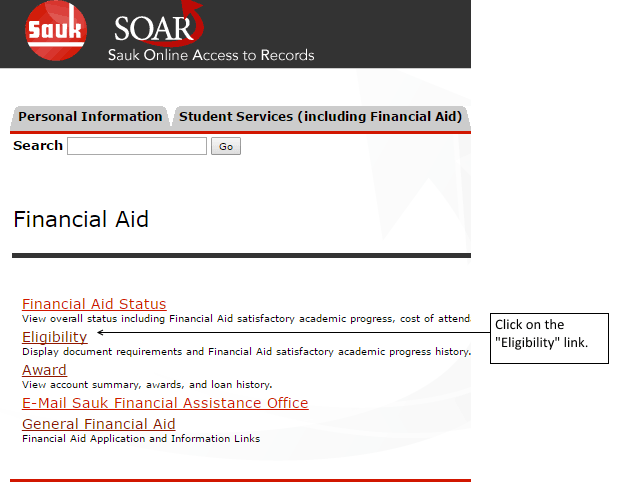 Click on the "Eligibility" link. 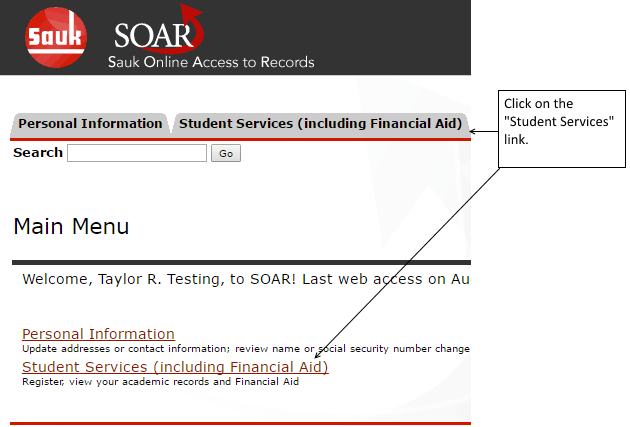 You will see two links. 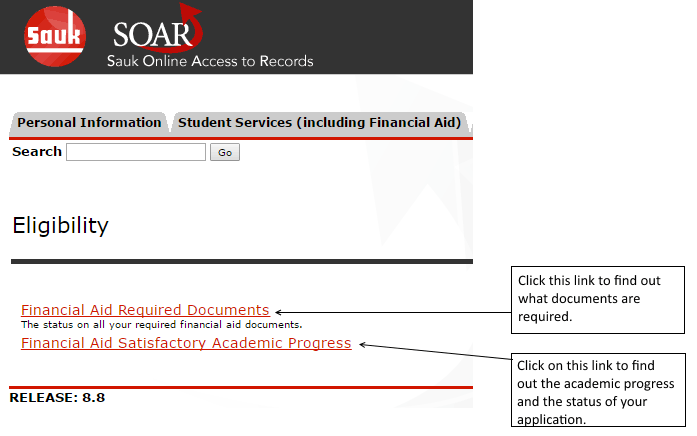 Click on the "Financial Aid Required Documents" link to find out what documents need to be filled out and handed in to the Financial Aid office. 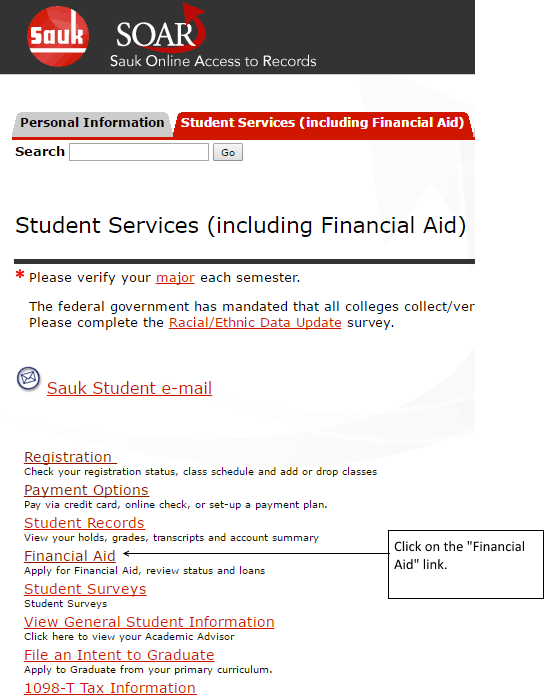 Click on the "Financial Aid Satisfactory Academic Progress" link to find out your academic progress and the status of your application.